Every day when your hydraulics are unhooked, thermal expansion is causing thousands of pounds of pressure to be put on your hydraulic equipment! This can cause your couplers to lock up, leaks to form, or your hydraulic cylinders to blow! The Hose End Chamber is a hydraulic expansion chamber which protects your hydraulic machinery from this thermal expansion! 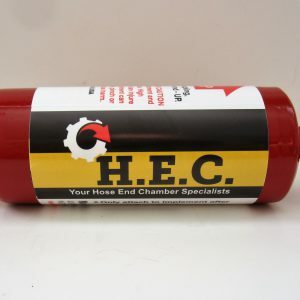 The Hose End Chamber can save you time and money! 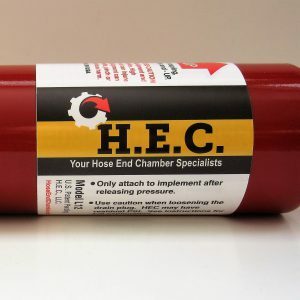 Whether you have implements for farming, a construction attachment, or an industrial tool–the Hose End Chamber is here to help! As a family-owned and operated business based in Wisconsin, H.E.C. is dedicated to helping hydraulic owners and operators protect their hydraulic equipment from thermal expansion and eliminate wasted time, bringing a sense of ease to the recoupling process. Dale Maney, the creator and founder of the Hose End Chamber, has more than 30 years of hands-on mechanical experience. Dale also is the owner and operator of his own tree moving company, Maney Tree Moving Services. While working on and maintaining his own hydraulic systems, Dale saw the need for the Hose End Chamber. Click the link below to learn more. 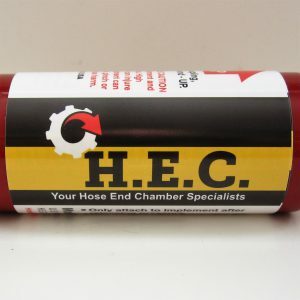 Where is the Hose End Chamber made? The Hose End Chamber is made right here in the USA in Fond du lac, WI! Can I just plumb the Hose End Chamber permanently into my hydraulic implement? No. The Hose End Chamber is to be put on your hydraulic implement while not in use. Referred to as the “Plug in and Protect” Method. Thermal expansion is when an object’s temperature rises. It will then expand in size or volume. Where can I find more Frequently Asked Questions? 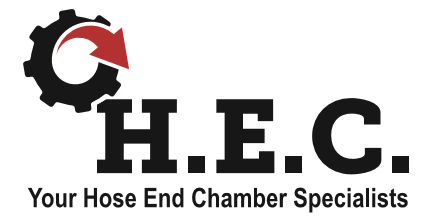 Go to About Hose End Chamber on the Main Menu and click on Frequently Asked Questions! H.E.C. LLC Businessx theme designed by Acosmin.